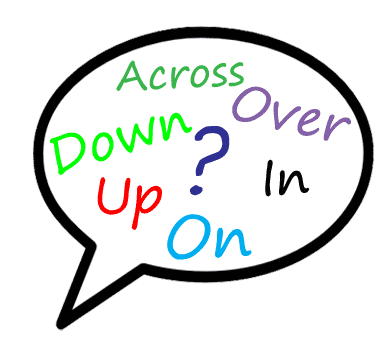 This free English phrasal verb lesson is going to teach you how to use ‘Get Together’ which has more than one use and this meaning is describing a gathering or meeting of people. The examples that we will show you will give you the best way to understand it perfectly! The family gets together on all the major holidays throughout the year. The family gathers together on all the major holidays throughout the year. We should get together and have a coffee some afternoon. We should meet and have a coffee some afternoon. 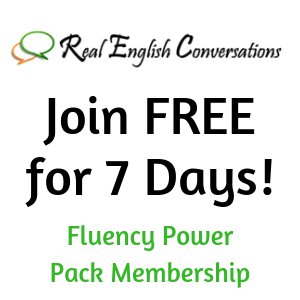 Join us FREE for 7 days to get access to full lessons from the Phrasal Verb Course, printable lessons and the Phrasal Verb Stories related to these podcast lessons. Of course, we know you want to improve all aspects of your English to reach fluency which is why our membership includes lessons that show you how to improve your listening skills and give you activities to help you improve your speaking skills too. During your free trial, you will also be able to join the conversation practice sessions to participate in a video call with a native speaker and other members from our website.